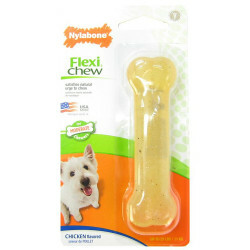 Nylabone Flexi Chew dog chews are delicious, hardy and durable toys that satisfy your dog's natural urge to chew. The chewing instinct is innate in all canines, and when they can't exercise it they begin to get stressed and anxious. This leads to problem chewing and ruined furniture but it doesn't have to be! 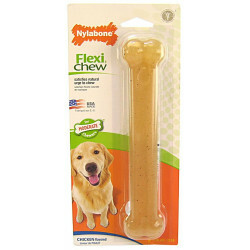 Nylabone Flexi Chew chew toys are bone shaped chews that are made specifically for your dog to gnaw on to his heart's content. 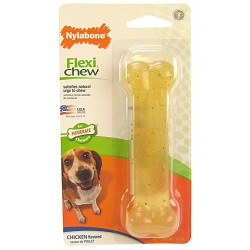 Nylabone Flexi Chew toys are safe, satisfying, and non edible, though they do come infused with a delicious chicken flavor that will keep your dog's palate happy while he chews away. 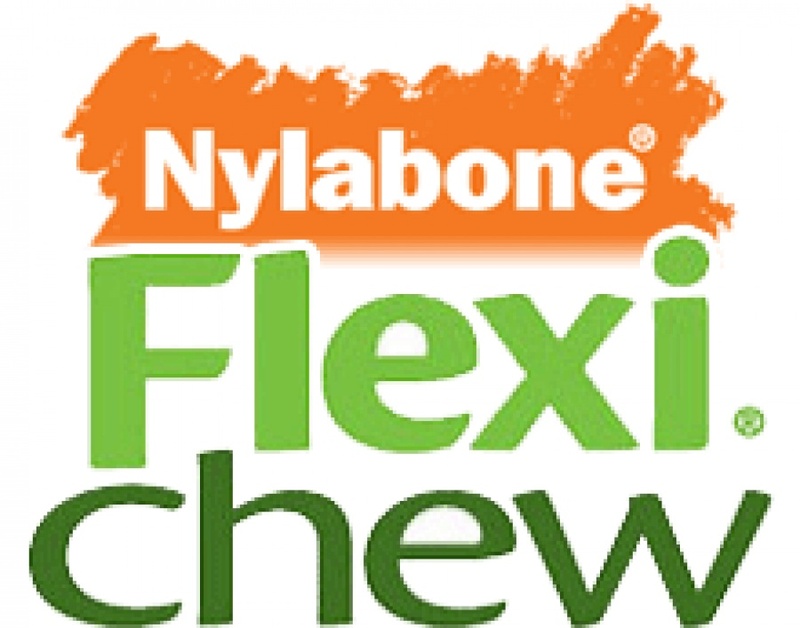 Each Nylabone Flexi Chew bone is made of flexible, thermoplastic polymers that are completely tested, safe and non toxic, and suitable for satisfying the needs of moderate chewers. As an added bonus, Nylabone Flexi Chew toys help reduce plaque and tartar on your dog's teeth while he chews, for a healthy, happy, long lasting smile. 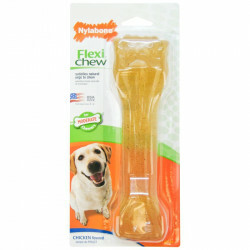 Be sure to browse all of our Nylabone Flexi Chew pet products to make sure you find just the right teeth cleaning, satisfying chew toy for your dog. 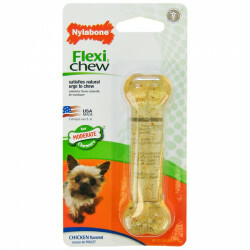 Pet Mountain is pleased to be a leading vendor of great Nylabone Flexi Chew pet products. Pet Mountain is proud to offer you a wide selection of Nylabone Flexi Chew pet products, at the very best prices available anywhere! Take a look at all of our huge selection of great deals! Can't find something you're looking for? Let us know! We'd love to help. Be sure to check out our online coupons and discount shipping on all your favorite products.